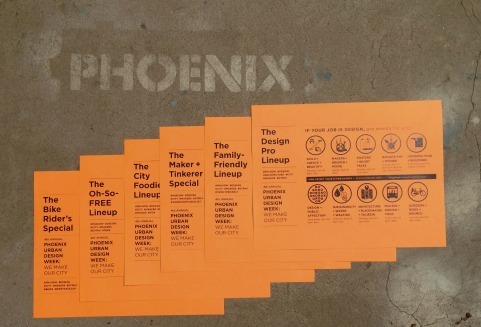 Phoenix Urban Design Week convenes and engages people making the future of Phoenix–from urban planners, designers, landscape architects, and policy makers to entrepreneurs, artists, and placemaking specialists. The design of our rules, our built environment, and our culture are essential ingredients of economic growth, sustainability, and community empowerment. We are collaborating to design and build a city we all want to live in. This year we’ve added more kid-friendly events so the whole family can participate. Join us! In this working design/build morning, volunteers will make picnic tables and a set of front porch stoops to encourage future community conversations and gatherings. We will work with our local AIGA chapter of graphic designers to weave a vibrant chain-link typography installation in the parking lot, beautifying Van Buren Street and building the foundation for more maker collaborations to come at The CPLC Pickle House. 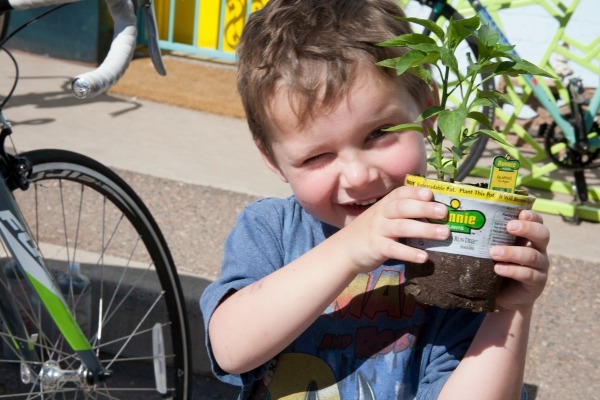 On Saturday April 25th, the PHXUDW GARDENS + BIKES + BRUNCH will be the first of many hands-on community workshops to be held at this great new location! This PHXUDW event is brought to you in collaboration with SERVE-A-THON PHX, an annual volunteer service event that mobilizes over a thousand volunteers for “done-in-a-day-projects” supporting nonprofits, schools, municipalities, and grassroots community organizations throughout Greater Phoenix. 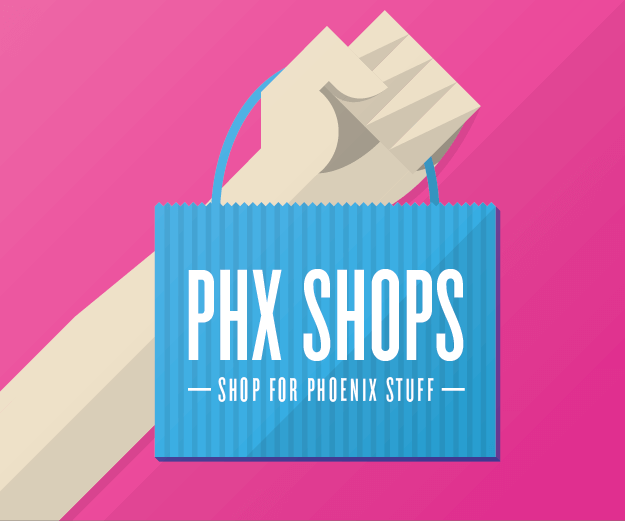 For more information visit Hands on Greater Phoenix. If you would like to join our gang of volunteers and be part of building this special community resource, sign-up through Hands on Greater Phoenix. If you would like to be part of the design team and participate in a creative workshop in the build up to this event sign-up through AIGA. 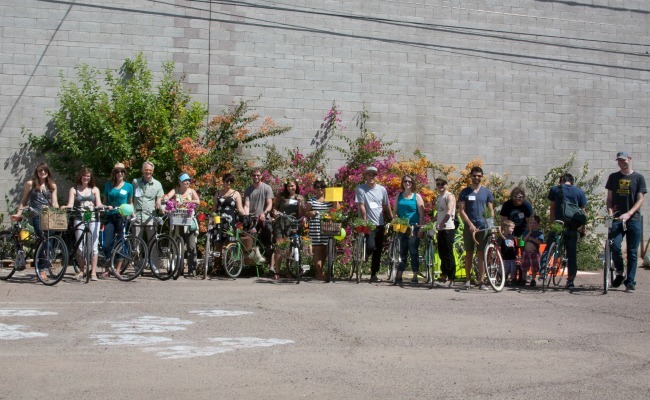 Spend the afternoon with us as we take part in the first GRID Bike Share Scavenger Hunt in downtown Phoenix, coordinated with the Phoenix Spokes People. Explore the city, make new friends and enjoy partaking in this life-size puzzle! 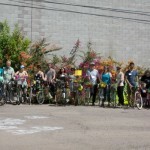 Hop on a bike and explore Phoenix in a whole new way as part of Valley Bike Month! You’ll be given clues that will lead you along bike routes to your next destination and some treats along the way. The final destination promises to be pretty special and riders that have collected all of the stamps on their passport and have reached the mystery location will be entered for a chance to win some great prizes. Riders must be 16 or older, have a Grid Bike Share account and must complete the scavenger hunt using the Grid Bike only (the route will take about 2-1/2 hours). The event is free to enter, but users will be responsible for any charges incurred for the bike rental. Tickets are limited to 35 riders so get them while you can! Ticketing ends Thursday, April 16th at noon. Local storyteller Brandon Ferderer guides us through a morning of activities exploring how we ‘write’ our city as we traverse the urban landscape. A group of local architects, artists and landscape designers will facilitate conversation on the importance of path-making as a philosophy and practice. Starting with a ‘Path Less Taken’ bike tour, a way of exploring and navigating our city that is off the beaten path, we will end at FilmBar. Here participants will engage in interactive mapping, documenting how we move through, write, and make our city, before enjoying the film ‘Maker’, a documentary on the maker movement. Meet Me Downtown brings people of all ages to downtown Phoenix for a weekly social walk/run. 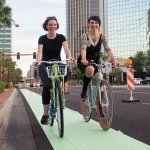 Check-in at this PHXUDW special Meet Me Downtown between 5:15pm and 6:30pm to walk/run/bike the route of maker-friendly spaces including the DTPHX Engagement Lab, Phoenix Center for the Arts, and the MACH space located inside the Burton Barr Library. Finish the walk or join us directly at the new co-working community space, Lab, on Central Avenue for a gallery show and short talks by local designers. The gallery of posters is brought to us as the first ASU Graduate Graphic Design show downtown. Starting at 7pm, we’ll mingle, look at posters, and talk shop. Beginning at 7.30pm, we’ll hear from local urban design entrepreneurs about their innovative infill projects, new business models in residential renovation, and passion for historic preservation. Light refreshments will be provided. 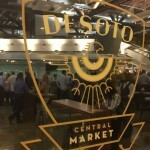 Show off your Meet Me Downtown hand stamp at these local restaurants and receive discounts on dinner, drinks and more once you’ve enjoyed the evening’s festivities. 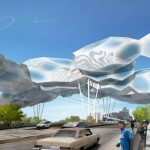 WHERE: Meet Me Downtown starts at The Corner at CityScape, 50 West Jefferson Street, Phoenix, AZ 85003. POSTERS + SHORT TALKS takes place at Lab, 818 N Central Avenue, Phoenix, AZ 85004 just south of Roosevelt Street. 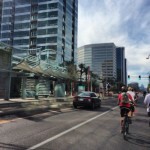 LIGHTRAIL: Washington Street & Central Avenue for Meet Me Downtown, Roosevelt Street/Central Avenue for POSTERS + SHORT TALKS. PRICE: Meet Me Downtown is FREE but requires registration. POSTERS + SHORT TALKS is $10, tickets can be purchased via the link above. Connect to your Core at RadiatePHX, a monthly networking event series for business and community leaders sponsored by Downtown Phoenix Journal and Downtown Phoenix, Inc.
Meet, mingle and join the people who are making Downtown Phoenix great between 5pm and 7pm while enjoying complimentary drinks and nibbles. In April, the focus will be on Urban Parks and Placemaking as we enjoy greater Hance Park. Afterwards, continue the PHXUDW conversation by joining us from 7pm at the new location of FEZ. Explore the Luhrs City Center as part of the monthly networking event, Building Mornings, which investigates significant and provocative local architecture in partnership with Reinvent Phoenix and, in April, PHXUDW. As part of The Design Details Lecture Series hosted by The Design School at ASU, Sarah Sandman and Jill Allyn Peterson will present Design Strategies for Participation. In this lecture, Sandman and Peterson eloquently bridge graphic design with public space, and the built environment in creative and fun ways. 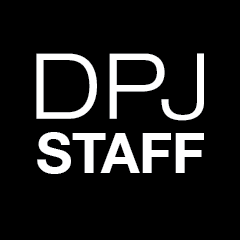 Sarah Sandman and Jill Allyn Peterson are co-directors of PDA (Public Displays of Affection). PDA is a design studio and community lab based in Brooklyn, NY. Their philosophy builds social capital with communication design, creating objects and experiences that enhance our sense of interconnectedness. 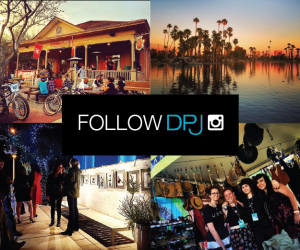 PDA redefines design as a tool for bringing people together in new and unexpected ways. Community and the environment are at the forefront of PDA’s process. Sarah was recently selected as one of twenty-one 2015 TED Fellows, presenting PDA’s unique collaborative public process at the TED Conference in Vancouver, British Columbia. Design Details is the 2014/15 interdisciplinary lecture series founded by ASU’s Design School. The series invites designers and scholars from Architecture, Industrial Design, Interior Design, Landscape Architecture, Urban Design, and Visual Communication Design to present on the ideas and importance of “the detail” and “detailing” in their discipline. Ranging from the scale of the object to the city, the series looks closely at the relationship between the part and the whole and the particularities in design that are often overlooked. Join local landscape architects on this walking tour of local projects in downtown Phoenix that make the most of rainwater. You’ve likely walked by these innovative systems dozens of times, not aware of the magic at work inside of the sustainable inner workings. This tour will be led by landscape architecture experts from TRUEFORM, Roger Socha and Todd Briggs, who will discuss the methods used in designing and building rainwater harvesting projects and illuminate the ways in which collected water is being reused. The Phoenix chapter of the AIA (American Institute of Architects) and PHXUDW will co-host this investigative conversation about architecture, environmental design and placemaking with the new Dean of the Frank Lloyd Wright School of Architecture, Aaron Betsky. A reception with complimentary light refreshments will begin at 5.30pm, the program will commence promptly at 7pm. Experience this one-of-a-kind bus tour of exciting local maker-oriented spaces. If you’ve heard of a maker space or the maker movement and are curious—this tour will enlighten and demystify! If you love maker spaces and can’t seem to find the time to explore the great resources we enjoy in the Valley—get on board! This expedition will refresh and reenergize your love for all things maker-related! Start your weekend with a special PHXUDW Happy Hour at The CPLC Pickle House and board the bus to begin the magical mystery tour of Phoenix maker spaces. We will journey to a selection of innovative, collaborative and inventive spaces all inspired by the maker movement, meeting the creative leaders putting Phoenix on the national map in the maker community. A delicious selection of local food and beverages will be served for you to enjoy throughout the evening. Our exploration will end where it began at The CPLC Pickle House, you can discuss and debate the local maker movement upon PHXUDW’s community-made street furniture as we round-up our adventure. Stay tuned to our facebook event page for more details! PRICE: $55 per person includes tour, transportation, dinner and refreshments. Tickets can be purchased via the link above. Be part of the first fun hands-on community workshop at The CPLC Pickle House with local Landscape Designer, Beth Johannessen. Learn how to make your own mobile bike garden with Beth’s tips and tricks for sprucing up your ride in a way that accentuates the best of your bike. Discover safe ways to attach to and interchange planting pails on your bike and unearth expert knowledge about the best sustainable native plants. Take your garden for a spin and head to brunch with the PHXUDW team to show off your new improved ride. We supply the plants and containers, you get to take your traveling garden home and beyond! Embrace your inner-child and round-up all your maker friends for The Pinewood Classic – Phoenix’s most competitive race on a tiny track. For the second year running spots for the “grown-ups only” racers are sold out, but the fancy hot dogs, drinks, and laughs are aplenty. Come cheer for the most inventive, best looking, fastest, fun or most imaginative car. As our pals at The Pinewood Classic say, “It’s just like when we were kids, only this time your dad can’t take all the credit. The competition is fierce, and the excitement is palpable. This is an event where the beer flows like wine and the nostalgia sets in like a flock of Capistrano salmon”. Let the games begin!